U.S. Sens. John Cornyn and Ted Cruz will be in South Texas on Wednesday to rename a U.S. Border Patrol checkpoint and to meet with various officials while Homeland Security Secretary Kirstjen Nielsen is also scheduled to be in the region this week. U.S. Border Patrol Chief Carla Provost is also set to join the Republican senators from Texas in Sarita for the renaming of the checkpoint there to honor slain Border Patrol agent Javier Vega Jr. Cruz has met with the Vega family on multiple occasions, and the family participated in a roundtable discussion in January with President Trump when he was in McAllen. While Cruz is in town, he also intends to visit the University of Texas Rio Grande Valley’s Harlingen campus and meet with university leadership. Afterward, Cruz plans to meet with Hidalgo County Judge Richard Cortez. Cornyn and Cruz, before 2018, had never been in the Valley together. But over the last year, the two senators have been in the region together twice, and Wednesday will mark a third. 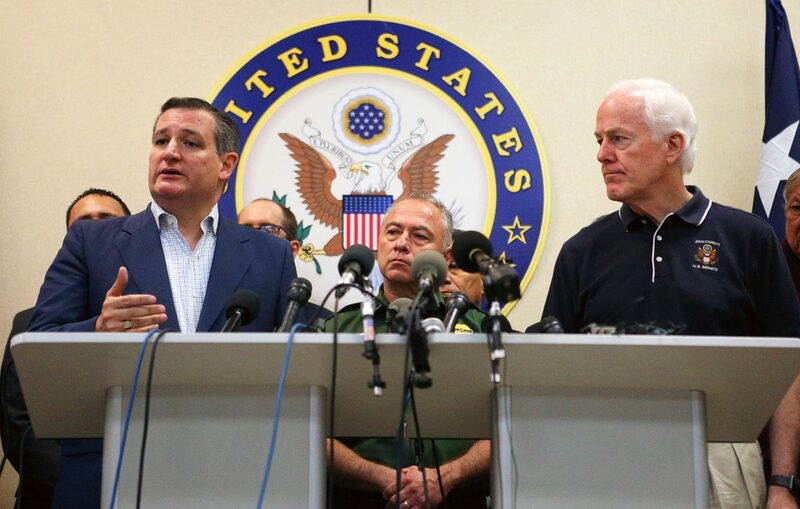 In June 2018, during the height of the Trump administration separating immigrant families at the southern border, Cornyn and Cruz visited a migrant youth shelter in Brownsville before meeting with authorities at the Weslaco Border Patrol station. In January, the senators accompanied Trump on Air Force One to McAllen when he briefly toured the border for the first time as president. The senators then did not join Trump for a return flight and instead hosted a roundtable discussion with roughly 30 South Texas officials. “Agent Javier Vega dedicated his life to the service of our nation and the great state of Texas, I look forward to joining the Vega family for the dedication ceremony,” Cruz tweeted on Tuesday. 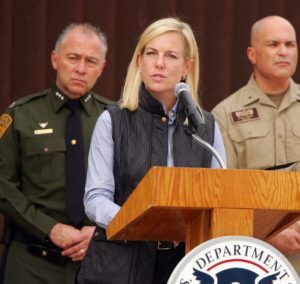 Nielsen’s visit, separate from Cornyn and Cruz, will feature a Thursday roundtable discussion with law enforcement, and Nielsen will be joined in McAllen by Immigration and Customs Enforcement acting director Ronald D. Vitiello, who used to run the Border Patrol’s RGV sector. Her trip comes days after she said that cyberthreats against the United States were a national security crisis she deemed her top priority, not the situation at the U.S.-Mexico border that Trump last month declared a national emergency.